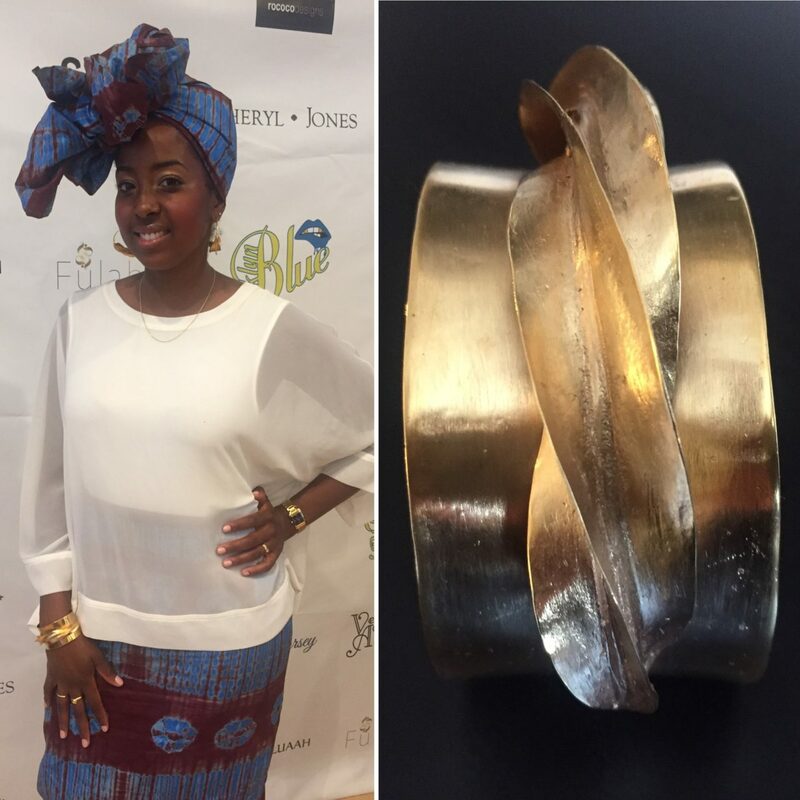 Fulaba debuted its new gold dipped Fulani inspired cuff bracelets at New York Fashion Week last week. We received lots of positive feedback and are excited to add this beautiful innovative piece to our collection. Similar to our gold dipped Fulani bracelet, this Fulani inspired cuff bracelet is handmade with copper and plated with 22k gold. This unique and beautiful piece is only available here at Fulaba.com. Many thanks to BADA Unite for organizing and producing such a wonderful NYFW Pop-up event.